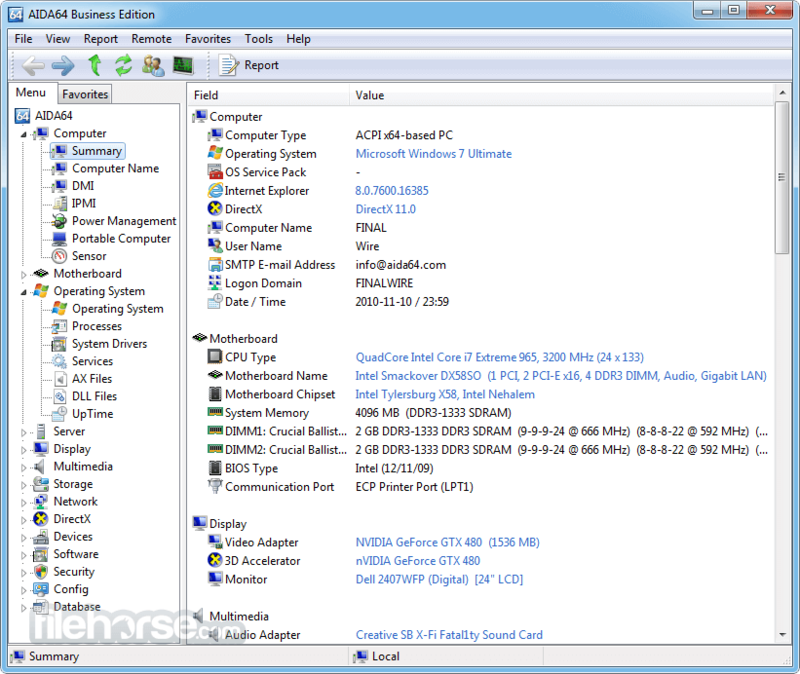 AIDA64 Business Edition can collect a very detailed hardware and software inventory from Windows client computers connected to the corporate network. As it supports command-line switches, creating inventories can be fully automated, while reports collected from the PCs can be saved to open formats ready for further processing, as well as to an SQL database. Changes between network audit snapshots taken at various times can be monitored in the integrated change manager. It can notify network administrators in real time when unwanted events occur, and it supports PC fleet management with remote monitoring and remote control. 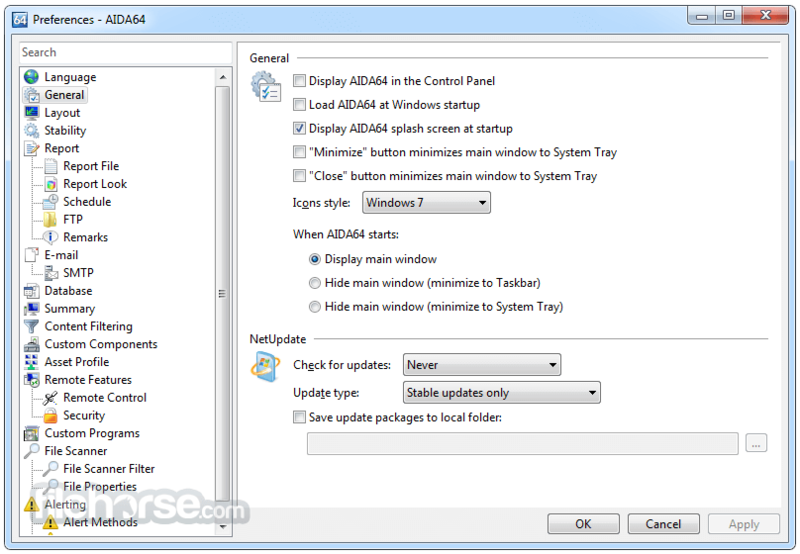 AIDA64 Business is compatible with all 32-bit and 64-bit Windows editions, including Windows 8.1 and Windows Server 2012 R2. 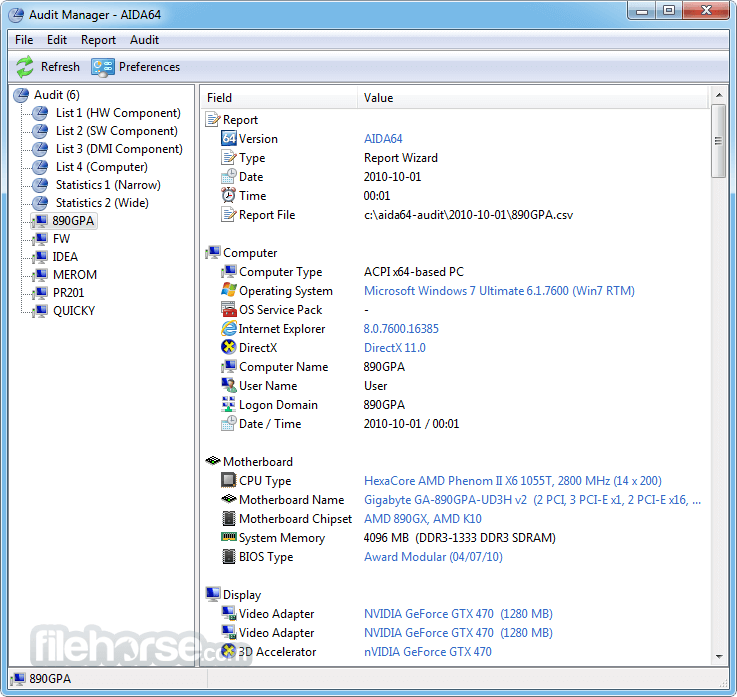 With AIDA64 hardware and software information of networked computers can be collected via command-line automation. Collected reports are processed by the software Audit Manager, that can also produce network audit statistics and diagrams on hardware and software distribution. 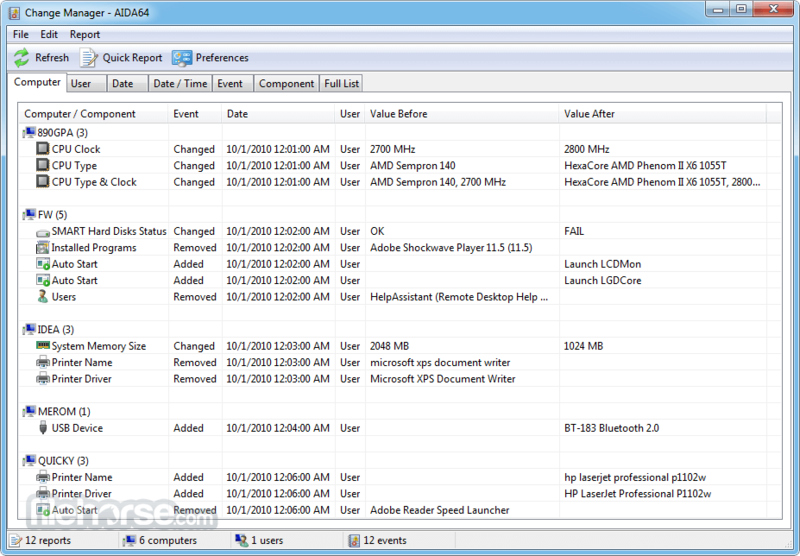 The activity and status of a whole network of computers can be monitored remotely with Remote Monitor. With AIDA64 Remote Control it is also possible to take full control of the remote computer to perform administrative tasks and transfer files. Note: Free to try 30-day trial, limited functionality. 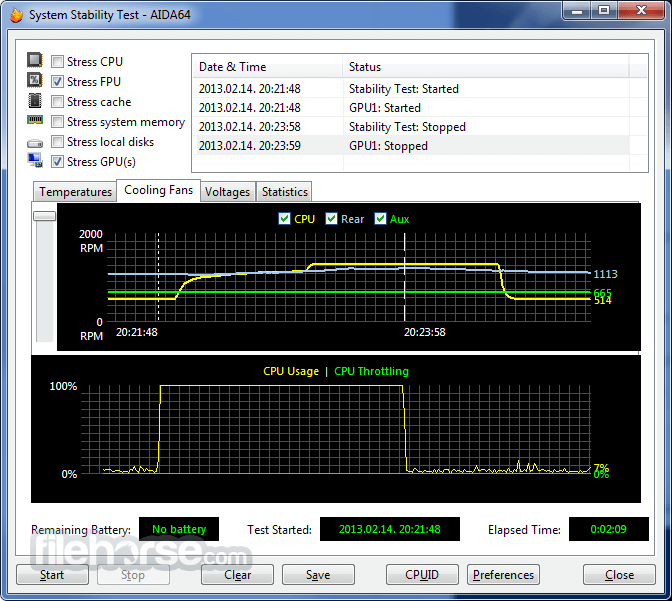 You can also download AIDA64 Extreme Edition, an industry-leading system information tool.